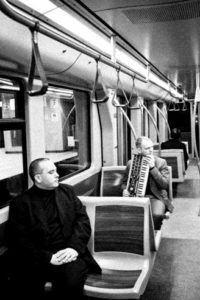 METROLAND have a manifesto: a conceptual band, consisting of Passenger A and Passenger S, bringing synthetic sounds from the ‘underground’, highly influenced by KOMPUTER and KRAFTWERK. Certainly the capital letter ‘K’ is highly resonant in their sound but in many ways, as the single ‘Enjoying The View’ indicates, METROLAND are perhaps more textural, a ride through an electronic landscape, layered with authentic warm sequences, robotic vocals and uniquely vintage drum machines, all designed for the commuter world. While hints of seminal Belgian synth trio TELEX also preside on this journey, with their debut album ‘Mind The Gap’, METROLAND provide a soothing headphone soundtrack for ‘Enjoying The View’, kind of like BEF’s ‘Music For Stowaways’ but without the Cold War dystopia. The slithery piano run of the beautiful ‘T.F.L’ is something to be savoured while really, ‘It’s More Fun to Commute’ and ‘(Much) More Fun’. ‘Mind The Gap’ has certainly impressed the wider electronic music community and invitations to both remix and support OMD have been evidence of that. And the song that the duo have been asked to remix?? Yes, ‘Metroland’! 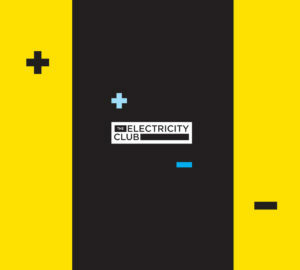 The duo kindly spoke to The Electricity Club from their base in Brussels about their technological ideals and commuter concepts. Where did the idea for a concept album about commuting come from? With METROLAND, we never started out that way nor did we plan to create a concept album, really. 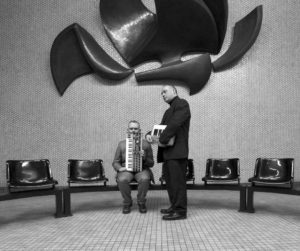 METROLAND, as a band, was not even founded in the true essence of the word; it kind of derived out of a creative, musical frustration. In our former musical career, which lasted already for 20 years at that point, we felt that we reached all that could have been achieved. There were very, very few ambitions to fill and no more goals to achieve. Another reason was the boundaries that we were setting ourselves. While making music and experimenting with sounds and ideas we got frustrated as so many good ideas would not fit in with our former works and policy. Hundreds of arrangements and melodies were rejected due to this limitation. But we kept on going, creating songs, making arrangements, carefully watching not to throw everything away. At a certain moment we created a baseline with a rather sinister feeling about it and we were struggling yet again with the question “erase this: yes or no?”. We went for “no” and started working on it, this time with no boundaries. Some weeks later we picked it up again and a second and a third track turned out in the same idea. After many sleepless nights and loads of conversations on how to proceed with our musical creativities, we concluded that some of the demo-songs we had now made were too strong to leave untouched. Still, they could not be hosted under our former project, so the first step towards the new band ‘METROLAND’ was taken. The name METROLAND itself comes from the UK band KOMPUTER. They used it as the name of a remix of their song ‘Looking Down On London’ (coincidentally, this remix happens to be Passenger S’ favourite piece of music). Still, at the point where we decided to head for that different musical direction, we did not even talk about any concept to fit all those arrangements. It was much later, when we picked up some nice samples from the underground, that we started working towards the end result where we are now with our conceptual album ‘Mind The Gap’. The combination of METROLAND as a band name and the first track (pun not intended) ‘Mind The Gap’ triggered us much further than we ever thought possible. 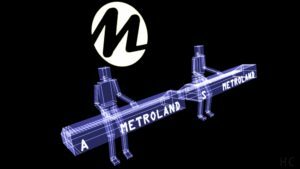 We were already used to working around a concept, which we feel has been one of our very strong points, but with METROLAND we took this conceptual idea to the hilt and beyond. 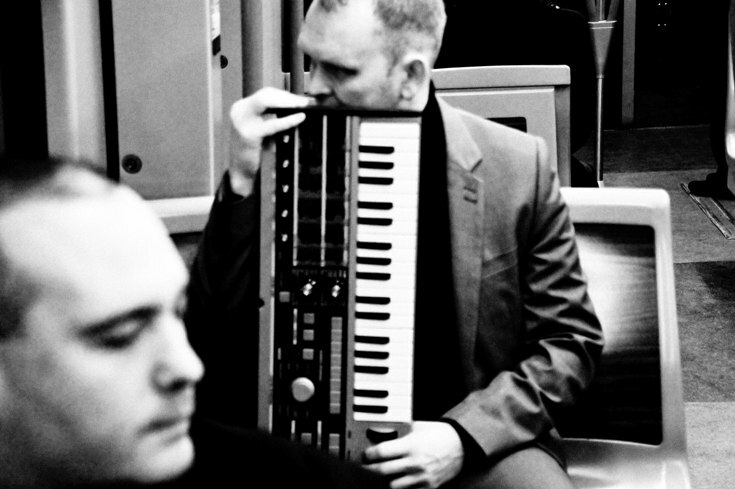 Result is that our album ‘Mind The Gap’ is all about metro systems, the Tube, commuting and transport in general. The samples, the artwork, the titles….they all breathe the same concept. As you can read, this amazing ride that brought us up to where we are now didn’t just happen overnight. Why did you choose the London Underground as the location, as opposed to say, the Paris Metro or Berlin U-Bahn? The London Underground is the one that stands out the most to all of us. She is like the mother of all undergrounds in the world carrying that special atmosphere, more than any other underground, we find, without being condescending to all other magnificent stations. To be quite frank, we did not particularly focus on the London Underground; our release is more of an international ode to all underground systems around the globe. The phrase “Mind The Gap” is quintessentially English so how did that enter your mind space to become the title of your album? On one hand it was by accident, but on the other hand this must have been the most compelling title to be used, as it goes hand-in-hand with metro stations. Just enter the Tube somewhere and you hear the voice chanting “mind the gap….mind the gap”… brilliant. We believe that if you would ask someone to name one of the most known trademarks regarding the underground it would be precisely that phrase. Our first album, dealing with that topic couldn’t have any better title than ‘Mind The Gap’. 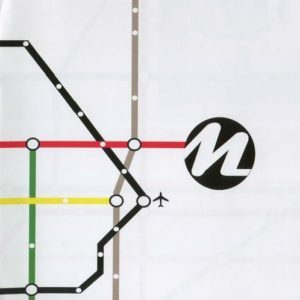 METROLAND composed a track in tribute to Harry Beck, the Underground map designer. Do you regard him as one of modern life’s unsung heroes? When we were triggered, as mentioned earlier, we started browsing the web for stories, histories, and monuments and so on. One of the names that struck us was that of Henry Charles Beck, or Harry Beck, the man who invented the map that millions of commuters have been using since that day. He was destined to be part of our album, there was no other way. Which tracks have been your own favourites on the ‘Mind The Gap’ album and why? On our Facebook page, some months ago, we made a kind of walk-through of all our songs on the album and each song was explained into the finest detail how they were conceived. They all mean a lot to us equally, as this first album was really a leap into the unknown. For Passenger S, this is little different, every track has a certain degree of importance, every track took little over 20 hours to get it in the final mix. Loads of time and energy can be found in every song. The standard was set on high level, every little effect or stereo image, filter setting was precisely programmed. Due to this, every song is kind of a special favourite in its way. But if one truly needs to be picked it would be ‘Inner City Transport’. This was the most difficult track to mix, as it consists out of three separate parts that needed to blend, spread over more than 7 minutes. What synthesizers and plug-ins have you been using to construct your sound? Since 2005 we solely work using Reason (Propellerheads). For the both of us this is simply a fantastic and unlimited tool. We have had tons and tons of sounds that we had been using in our former project and now with METROLAND, it feels like we are rediscovering shiploads of new sounds that we can finally use, simply because now we allow it ourselves. It is extremely liberating in a way. We are not shy to use those precious bass sounds like we used to, and we now easily blend them with sounds we would never consider using before. Reason is not just worthwhile using for its sound library; it is also very versatile when it comes down to the use of every effect or filter setting. You can program nearly every nano-second in a song, the perfect tool for making the sort of techno pop we create with METROLAND. 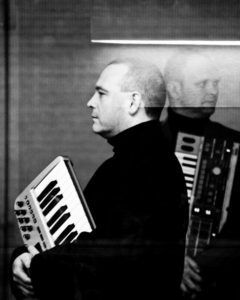 Have you tried the Synth-Werk VST and did you find the ‘Musique Electronique’ new KRAFTWEKtrack hoax that used it amusing? We never used it. We do know of the hoax, yes, and admittedly, we were tricked too. We guess because so many are eagerly waiting for some new work from the Düsseldorf foursome, the hoax easily started to live its own life. Obviously you are fans of KRAFTWERK but what is it about them that is special for you? Maybe it’s their way of working, their musical attitude of “less is more”, or their endurance to find a sound that matches a song so perfect as if it was designed specifically for that one song. Despite of all of this, we are fans of much more bands than only KRAFTWERK, even if they are the pioneers of technological music. KRAFTWERK can easily be considered as the band that brewed the foundation for every electronic pop song. It’s not just inspirations from them that we used, as we also have influences from bands like OMD, NITZERR EBB, MARSHEAUX and ORBITAL to name some of the more important ones. We find that only the real tutored listener, who spends his time under the headphones, discovers the true face of METROLAND. This listener will hear more than just a hi-q, some bleeps and vocoder voice. That is indeed a typical KRAFTWERK ingredient. Fortunately we do have a few fans who truly listen to the deeper sound of METROLAND. If you listen carefully, there is only a small hint from METROLAND and even then the difference is huge. 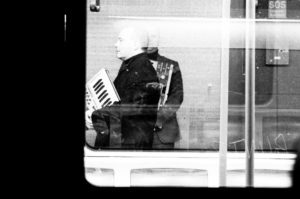 In contrary to METROLAND, our bass sequences are more pounding, our tempo is always fast paced, we use multi-layered sequences and rarely one basic sequence which gets spread over an 8 minute song….and so much more to discover in our music. Which is your favourite KRAFTWERK album and have you been able to see any of ‘The Catalogue 1-2-3-4-5-6-7-8’ shows? Sadly, living in Belgium, makes it hard to see any of the shows. The show at Tate Gallery was sold in about 10 minutes. Before we even heard about it and start thinking about taking holiday from work and so on, all tickets were sold. For Passenger A, ‘Electric Cafe’ (he stills prefers that title) is the favourite KRAFTWERK album. Passenger S, his most favourite KRAFTWERK song is ‘Tour de France’ (in its original form, as he believes the 2003 is a boring release, something like: “give a 10 year old a synthesizer and a sequencer and try to copy some old KRAFTWERK song”), but when it comes down to albums, the album with the most nice songs would be ‘Trans-Europe Express’. Along with ‘Europe Endless’ and ‘’Showroom Dummies’, these timeless songs are high-lights in their career and considered by Passenger S as the actual start of their electronic pop. It has been 10 years since the last new KRAFTWERK album, are you filling a void for their fans or do you want to be seen as a different entity altogether? We never intended to fill a void or try to meet a demand, as such. We simply wanted to make music without boundaries and use all ingredients that we liked from so many electronic artists ; a melody, a baseline that carries a song, matching percussion where stereo-effects that are gone before the listener realises what has happened, catchy samples that fits the purpose…all this to make METROLAND to what it is now. We are indeed a different entity; we don’t have the intension to fill up something that may never happen again (hence: a new album by KRAFTWERK). How do you respond to people who say you are maybe just Kling Klang copyists? We know they are amongst the many that never really listened in a profound manner. All they hear are the robotic voices and electronics. Sad, really, as they miss out on all the aural fun that is happening in the music. We wonder which band these days is unique, which band doesn’t have roots? If a band picks up two guitars, a drummer, and a lead singer, are they a copy of THE BEATLES? So are we a copy because we use synthesizers, a vocoder and bleeps? We are not a copy, we just use ingredients from things that happened before and use them again in our personal blend. If only those lazy, lame and short minded people would give it that little extra second of attention, it would all make it more interesting to read their reviews. How did the OMD support slot come about? The story started in April last year where Andy McCluskey wrote us a personal mail explaining that they have a new song called ‘Metroland’ and that by browsing the internet, whilst looking for details on the word “metroland”, he came across our website, some interviews, a collaboration with MARSHEAUX and so on. Appropriately, he was sitting in the train when he wrote us that first mail. Ever since that day, we had been in touch regularly and in August we met near Antwerp after their gig, where he asked us to act as support for some gigs, but nothing was concrete at that time. Now it is happening on the Benelux dates (May 17 in Utrecht and May 20 in Brussels)….and we are very happy and proud to be their support act. You are remixing OMD’s new single ‘Metroland’. As the song is already quite Kraftwerkian, what have you done to make it different to the original? Our remix must have been the most stressing and tiring work ever. The deadline was rather short, and on top of that this was a remix for a band that we both idolized for many years (since 1982 for Passenger S to be exact). We aimed for a METROLAND interpretation, the METROLAND sound and feel of a fascinating OMD track. We both hate those darn f*cked up club mixes where you can barely recognize something of the original. We started all from scratch. So, every sequence and bass line, melody was played a-new (we did not have a MIDI file), and we searched for new sounds. In the end, it became a more orchestral mix spiced up with the typical bass sounds from METROLAND, along with our famous layered sequences. It was a tough job as the song itself is a splendid OMD song with a KRAFTWERK spirit, a shivering combination, so we hope our remix will attract OMD fans. Andy McCluskey replied to our mail after we delivered, “loving it! !”, so we have achieved exactly what we intended. Just imagine: making a joyful remix and getting such a reaction from someone you have been looking up to since you were a teenager!! Have you decided on a concept for your next project? We have some ideas about broadening the transport idea, some more concrete than others, but nothing for the full 100%. All we do will grow, change on daily bases, but will all make one complete concept again…some day. We are slowly collecting new arrangements; about four are already in a song format, so we are facing the start of a new album. Only one track made it way in advance and that was ‘2013’ to which the reactions were pretty overwhelming. This only makes us more confident we are on the right track. Just make sure to hop on our underground METROLAND ride, because it will be second to none, guaranteed!! METROLAND play as special guests of OMD at Utrecht Tivoli on Friday 17th May and Brussels Ancienne Belgique on Monday 20th May 2013.